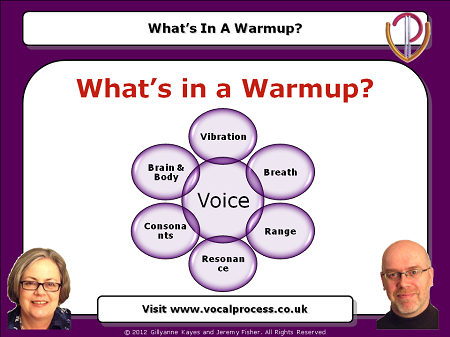 Have you ever thought what a vocal warmup actually does? Should you change it or keep it the same? 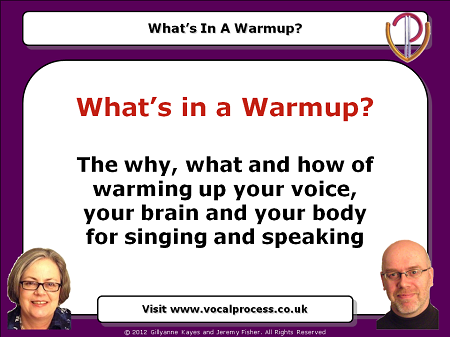 We are Gillyanne Kayes and Jeremy Fisher, and we have more than 50 years' experience creating targeted warmups for professional, high-level singers, choirs and theatre companies. We share our own warmup specifics for voice, breath, body, brain and articulators. 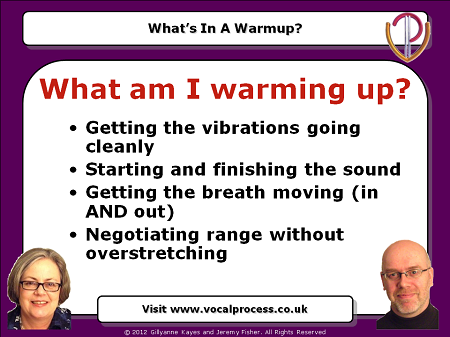 Watch this webinar and find out if your warmup REALLY works for your voice, or if you've just been wasting your time!